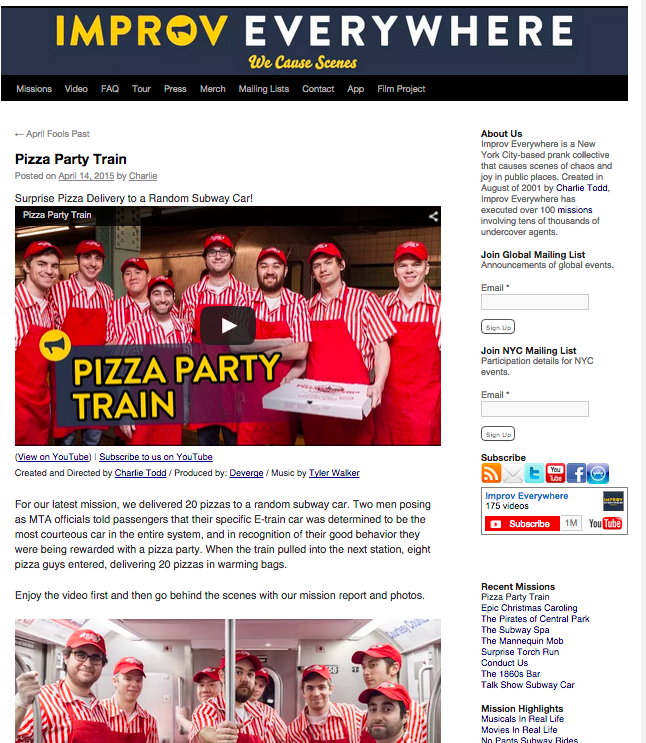 Thank you to the folks at Improv Everywhere for inviting me to take part in a spontaneous Pizza Party aboard a crowded New York City subway car. 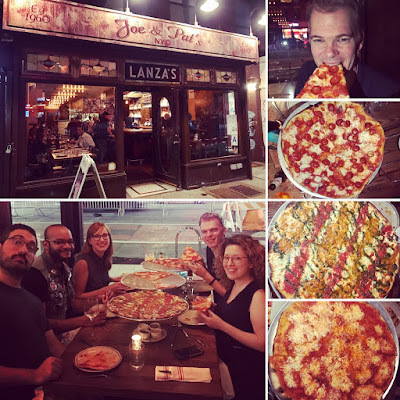 Dressed as a NY Pizza Suprema employees, eight of us carried Slicey award winning cheese pizza slices, plates, napkins, and waters to riders of the last car of the E train - voted "most courteous" car. It was a delightfully delicious way to give back! Click on the picture below or the link below to see pictures, video and a recap of the whole event.